If you fantasise about relaxing in a tropical cottage or lying on the beach, lulled by the sound of waves and rustling palm fronds stirred by a tropical breeze then Isola Di Cocco is your dream destination. Isola Di Cocco or the ‘Island of Coconuts’ is encircled by soothing water and scenic flora. It’s Bela Ayurvedic centre offers profoundly relaxing and purifying treatments. Enjoy recreational fun, lounge on the hammock by the large freshwater pool and enjoy cultural performances in the evening. Each traditional villa has a balcony with a breathtaking view of nature’s bounties. 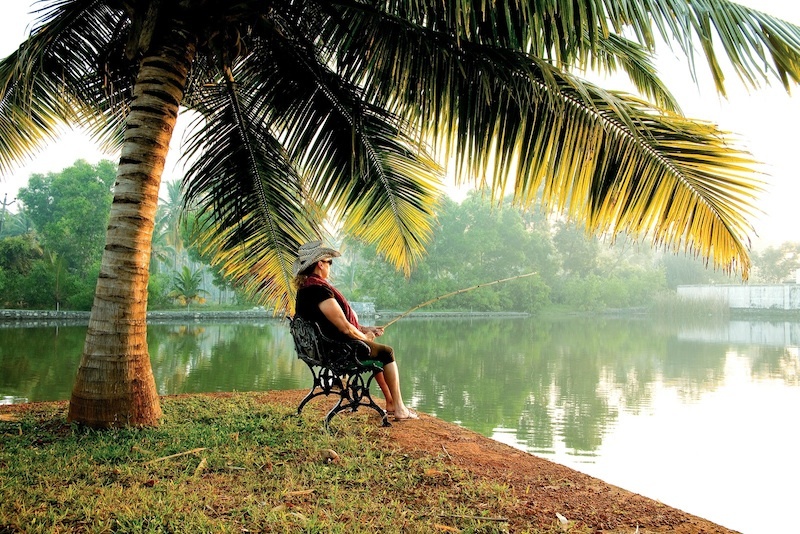 Isola Di Cocco is tucked away in the southwestern tip of India in the state of Kerala, the destination rated as one of the 50 top "must see world destinations" by the National Geographic Traveller Magazine. 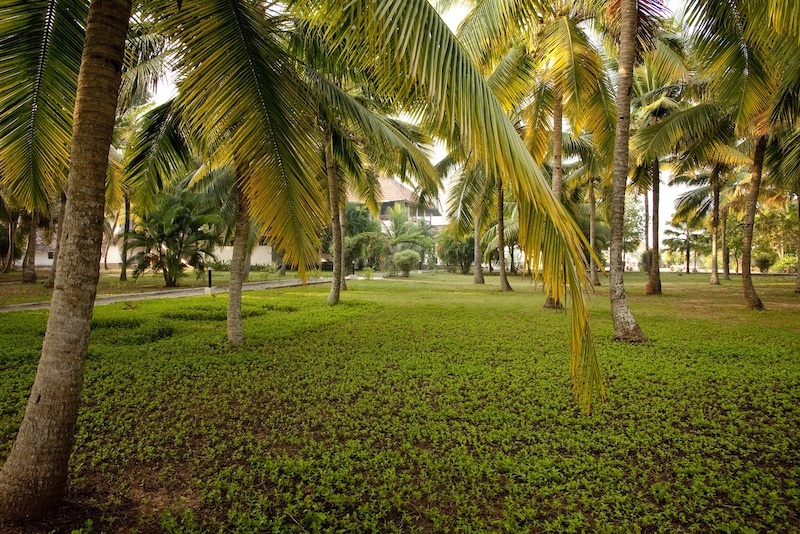 Bordered by the Arabian sea and clear river, Isola Di Cocco is spread across 30 acres of lush palms and greenery. 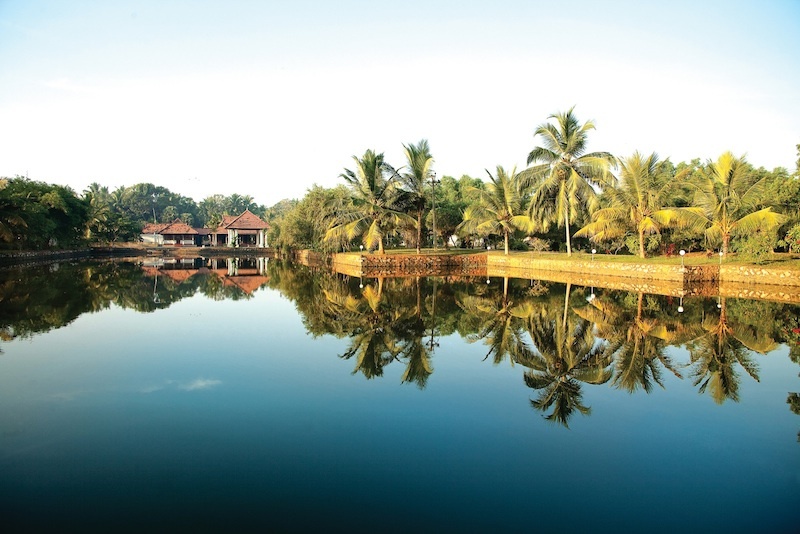 Here nature offers guests a gorgeous canvas or a riverbank, a private beach, lakes, ponds and backwaters. Part of the pleasure of the resort lifestyle is the delicious dining. Isola Di Cocco’s cuisine is exceptional and the service impeccable. Enjoy the multi-cuisine or specialty Ayurvedic dishes at the romantic seaside setting. Refreshments and snacks are also served at the lively open-air bar. A sense of exclusivity is evident immediately as you approach the entrance of Isola Di Cocco, which offers a warm and personal welcome. You will find secluded clusters of villas, each with its own balcony offering breath-taking views and reflecting typical Keralan architecture with flair. Lush, tropical landscaping, oceanfront pools and palm-laced stone walkways create a hideaway of tropical privacy. There are a total of 60 Rooms including 16 standard rooms , 40 heritage rooms & 4 suites. All the rooms have a garden view and 10 rooms have a lake view. 24 hrs running hot & cold water. These are modern single rooms with traditionally carved wooden furniture. All rooms have a verandah which face a colourful, well-landscaped exotic garden. Spread out in clusters, the rooms face the waterfront. Amenities: CCTV, Telephone, Mini fridge, En-suite Bathroom with the sky as the roof, hot drink making facilities. Heritage rooms are wood paneled with teak or rosewood. Each room originates from the ancient traditional Kerala design called the Tharavadu. The rooms have been transplanted panel by panel with utmost care to preserve the original design. Guests staying here feel what it means to live in a bygone era where time stood still and life was leisurely, simple and gracious. The furniture are all hand-carved antiques. Amenities: King size bed, CCTV, Telephone, Mini fridge, En-suite Bathroom with the sky as the roof, hot drink making facilities. Each stylish suite has a verandah, a living room, a bedroom and an open-to-sky modern bathroom. These suites are centrally air-conditioned. 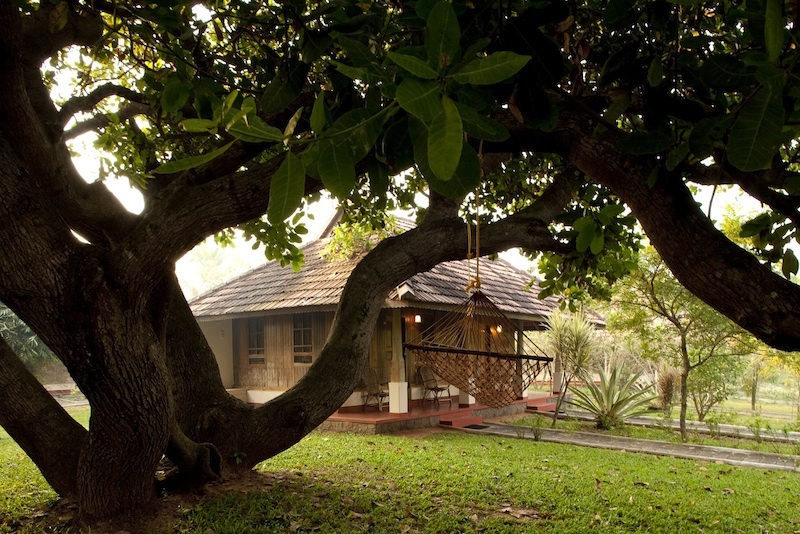 At the resort the Bela Ayurveda Centre will take care of all your health and pampering needs. Supervised by two experienced Ayurveda Doctors and 30 staff members the centre prides itself in offering the cream of Ayurvedic therapies. The Ayurveda center offers guests a unique blend of Ayurvedic treatments for the preservation of health and cure for diseases in the time-tested tradition of millennia. Click here for a sample list of rejuvenation therapies available here. September to March is the mildest climate but Ayurvedic treatment often reaps good results from June to September. Trivandrum city for arts, crafts and clothes shopping. The ancient Hindu Padmanabha Swamy temple. The Isola Di Cocco has the capacity to cater for a function of 90 people. The staff were friendly and very helpful . . . nothing was too much trouble. The rooms were big, clean and very comfortable... loved the outdoor bathroom... great for hanging out the washing. The food couldn’t have been better and plenty of it... special orders were encouraged. Overall the choice of Isola to do these treatments was excellent. I intend to go there again. Hotel - great people : so caring! always ready to help. GREAT FOOD - food was a highlight and Im missing it still...not one grumbly tummy and fantastic variety and flavours, all cooked with a light hand. Considering it was mostly buffet, the quality was amazing. Fresh juices, fresh fruits and desserts all very good. Delicious! Accomodation: beautiful room/cottage. We are both very fussy as far as our accomodation goes. And we both loved the buildings. 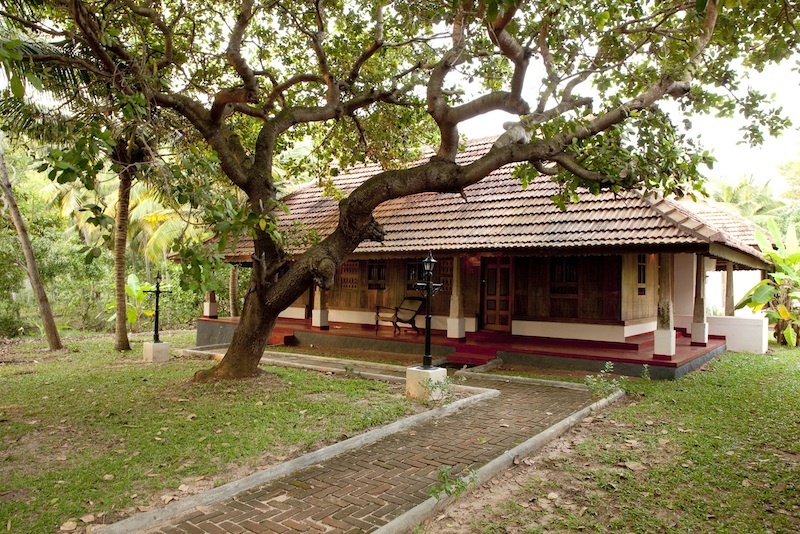 We appreciated the architecture - it was less resort style and a more traditional Kerala style. The grounds had a wild feel - rural somehow. Once again, not resort-like nor manicured. Ayurvedic Clinic Staff & Doctors: Caring and friendly, professional but relaxed. Treatments were beautiful and healing. They felt abundant - an abundance of oil and herbs, of caring hands. We did visit a couple the new resorts springing up nearby, and although they looked extremely beautiful and were more luxurious and resort-like, we felt Isola was more to our taste. Isola felt like the real deal..many Indians were staying there and it wasn't like a Western cloister... although it is very isolated (Isola-ted! ) from village life. "Wow, what a hidden paradise. Loved everything about it and can't wait to return."